At the end of the summer, it will be 11 years since I moved to Germany and, believe it or not, I still have a long list of things that I haven’t done! Here are 10 things that I still want to see, do or experience in the country that I currently call home. The river Elbe marshes downstream from Hamburg are a huge orchard dotted with cute little villages and centuries-old farmhouses: perfect for an idyllic bicycle ride on a sunny weekend. I’ve wanted to visit this North Sea island renown for its spectacular red cliffs ever since I first heard about it a decade ago. It’s a 4-hour catamaran ride from Hamburg so I’d love to stay a couple of nights on the island to explore and enjoy. While we’re on the subject of islands, there are two more destinations that are pretty high on my list. The first is Rügen with her white chalk cliffs and ancient beech forests. 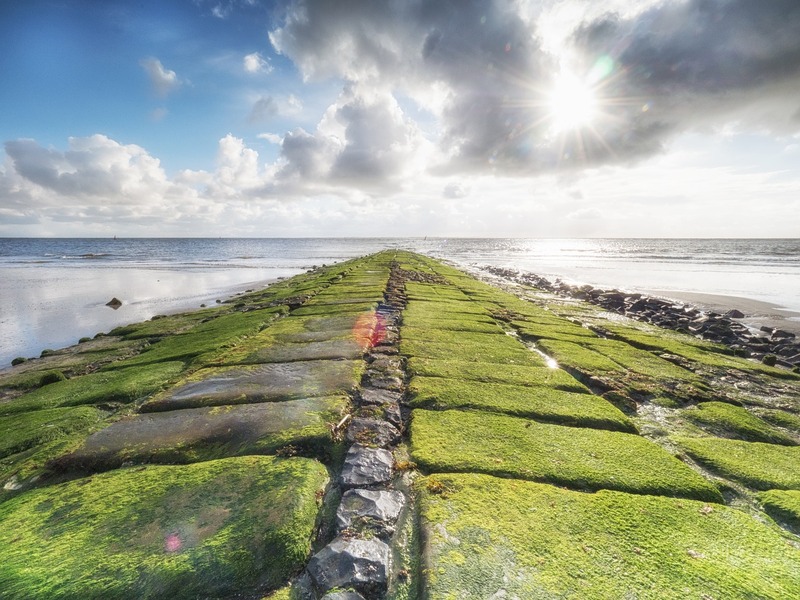 The second is the windy and ruggedly beautiful archipelago of the East Frisian Islands in the North Sea. During particularly cold winters, when ice on the Alster lake in the middle of Hamburg reaches at least 20 cm thickness, a festival is celebrated on the ice. Food and mulled wine stands are built up and different attractions take place. It the last 15 years this festival has been celebrated only once – in 2012 when I was in Scotland for a visiting fellowship and enjoying balmy +10 C weather. It is an old North German custom that takes place mid-winter when kale (Grünkohl) is harvested. It is, literally, a “cabbage walk” around the countryside filled with games and drinking crowned by a hearty meal of Grünkohl at a local pub or restaurant. Both times I was supposed to take part in a Kohlfahrt it sadly didn’t work out so this one’s still on my bucket list. Coming from a country whose highest point is 312 meters above sea level, I’m a sucker for mountains. The Harz mountain range is just a few hours drive from Hamburg and, from what I hear, it’s a beautiful place with pretty historic towns, rivers, and lakes. And, of course, mountains perfect for long walks in the summer or skiing in the winter. Germany has 13 wine-growing regions. I’m sure that one of these days I can finally manage to do a proper wine tasting tour in at least one of them. Preferably with my girlfriends. And, of course, with some sightseeing on the side. Well, to be honest, I have been to Munich once but we couldn’t find a good parking place in the city center, drove further, and visited Nuremberg instead. Munich remains on my bucket list and I would love to spend a few days getting to know the beautiful Bavarian capital. Ever since Hamburg’s stunning concert hall welcomed guests for the first concert in early 2017, tickets have been selling like hotcakes. But I’m certain that one of these days I’ll get my hands on a couple as well! That was my Germany bucket list. Are there things that you still want to do in the country where you live? You are welcome to the first town of the Boxbeutelstrasse! Best Franconian wine :-)!!! Several vineyards with medal winning wine just 1-5km away :). Frau Doktor sounds impressive indeed and you’re right to abuse the heck out of that title Wine tours and lots of cabbage…… sounds like a trial for the digestive system for sure! Thanks for joining in – a great list and hope that some of the ten become reality soon! Hehe I never thought about it that way, it definitely doesn’t sound good for the digestion 🙂 Good thing that one is more of a winter thing and the other – a summer thing! I hadn’t thought of it but my list is quite stereotypical that way, isn’t it? 🙂 I can assure you though that there are other things to the German cuisine aside from meat and cabbage. Nemaz i nezināju, ka esi igauniete. Gaiziņš bija biki biki zemāks.